We are a premiere and diversified staffing company with over 30 years of experience. 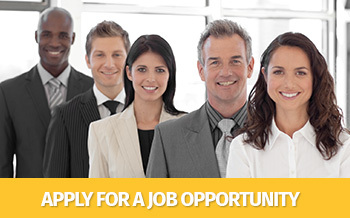 Winsor is the nation's most reliable staffing company. Recruiting, screening and credentialing highly qualified temporary and long-term professionals amongst a diversity of industries and occupations is our business. With an emphasis on safety, reliability and job security we assure our clients increased personnel efficiencies and cost savings. 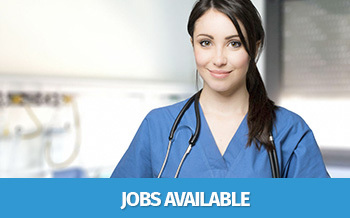 We offer to our candidates a broad spectrum of job opportunities to choose from. Our unique terms of service focus on what's most important: your business and all the individuals who make up the human resource assets of an organization. 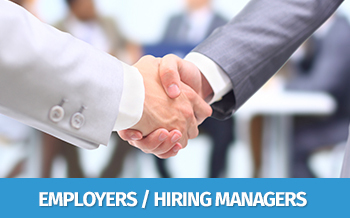 Winsor is a FULL-SERVICE DIVERSIFIED STAFFING ORGANIZATION. We service multiple industries and occupations providing flexible staffing alternatives: hire and lay off personnel to manage peak and slow cycle production periods and avoid all subsequent and costly payroll burdens, such as FICA, FUTA, SUTA surcharges, Employee Garnishments, Workers Compensation expense, W2 / 1099 year-end filings and a host of other related administrative processes and expenses. WINSOR OFFERS ASSURANCE WHEN IT COMES TO KNOWING AND CREDENTIALING YOUR STAFF: We maintain comprehensive HR/Personnel files on all our candidates, and thoroughly assure worker eligibility. Employee background reference checks, criminal/felony/fingerprinting profiles, Social Security traces, Drug & Alcohol pre-hire, random and post-accident testing when necessary. THE WINSOR GUARANTEE: Our NO-RISK Contingency hiring program allows you to evaluate talent before making a commitment to hire. Whether your needs are for a temporary basis, temp-to-hire or direct hire, should you not be satisfied for any reason with the caliber of an individual placed on assignment call us immediately and we’ll work expediently to replace that candidate. Winsor continues to grow and expand around the country. Winsor continues to grow and expand around the country. During the last year we added on another dozen new states. Having secured offices and satellite locations up and down the East Coast and Central US, we continue to expand our reach and breathe of occupational staffing niches daily. Driver-Logistic professionals, Light-Industrial and Production workers, Administrative and Clerical-Personnel and Healthcare Paraprofessionals, whether you are looking to hire or seeking employment, with our one toll free number you get connected to any and all location and divisions throughout USA. Receptionists, administrative professionals and Branch Managers on duty at all times to assist. Call or email any time no matter where you are Winsor is there for you!